Italy, the heartland of cheeky carb rich food and the pursuit of pleasure, is now scene to another one of life’s guilty pleasure’s – whisky. The Puni distillery in picturesque Glorenza in northern Italy – with its rolling hills dotted along the countryside – is home to Italy’s very first malt whisky. The whisky itself is crafted in the Scottish tradition, but matured in Marsala casks from Sicily to give it an Italian edge. 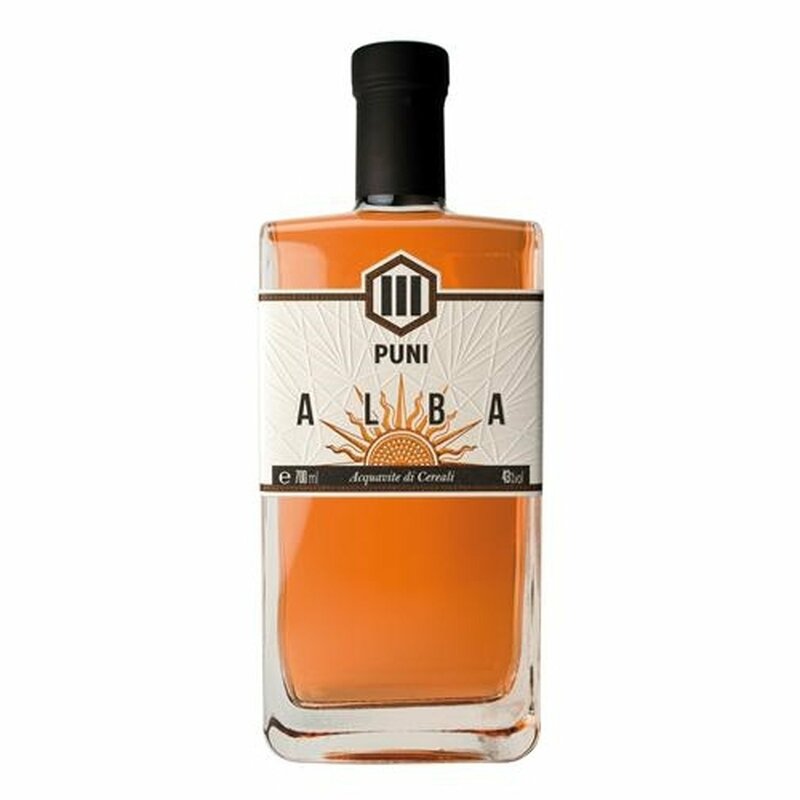 The first release by Puni distillery, in addition to a new make, is the Puni “Alba”. “Alba” means sunrise in Italian, which is a suitable name considering that this spirit marks the birth of whisky production in Italy – a county that has mostly been known for grappa and brandy, not whisky. Puni Alba, which has matured for 18 months in Marsala and Pinot Noir casks, is not legally “whisky” because the spirit has matured in oak for less than three years. As the below tasting notes indicate, Puni Alba is a young whisky that showcases the nagging punch of new make and Puni’s distillery character with only mild flickers of oak driven flavour. Do not expect a complex tapestry of oak, as the spirit is far too young for that. This is, it is clear to me, a work in progress and a glimpse into Puni’s whisky in its infancy. As the whisky hits the base of the glass for the first time, it is clear this is a young whisky. The whiff of new make spirit is entangled with the smell of lady fingers, icing sugar, vanilla, caramel, honey, pepper, spiced rum, apricot crumble and sliced plums, and while it is clear the oak still has some more work to do this whisky’s bouquet is pleasant. This Italian single malt seems to follow a trend in some European whisky – whether from Denmark or France – to keep the whisky young but it is fascinating to experience the variation of character between these European whiskies; a variation which is emblematic not necessary of the oak that was used but more of the differences in distillery character. This single malt from the Puni distillery in Italy showcases an interesting malt profile which is fairly clean, light and fruity and it integrates nicely with the oak influence. There is a slight alcoholic burn, and some fly spray cutting through the center. While this spirit has an impressive nose for such a young bambino, on the palate the daggers come out with ruthless style. The taste of new make dominates at first, with hints of spice, sugary sweet malt, and fresh rosemary with lavender interlaced with vanilla sponge and just as the hint of Marsala begins to emerge it fades as quickly as it came. The finish offers spice and pepper, with lingering fresh rosemary and floral-herbal notes hovering over the sweetness of the malt. Consider it, if you are itching to try an Italian (soon to be) “whisky” in its infancy which has been matured – albeit for 18 months – in ex-Marsala and ex-Pinot Noir casks. Puni Alba seems to need more time in oak to iron out some ripples in the new make and infuse it with some more complex flavour. The nose is complex, but on the palate the whisky is overridden with the overpowering taste of spirit and whatever oak driven flavours are present die out as quickly as they flicker into life. I look forward to seeing how this young spirit matures in the years to come. This entry was posted in Italian whisky and tagged Italy, malt, Puni. Bookmark the permalink. Hi, just came home to the USA from a trip to Italy, and I was lucky enough to find a lone bottle of this in Florence. This is the same shape bottle, not the “new” look (I think). Have not yet opened, since you cannot buy in the USA. Suggestions? Should I open and try, should I save as an investment (paid €70 for this) or should I put this in my oak bottle (Paglione) and age it?